It's not clear which of these data-types Facebook is harvesting from users of the app, which is codenamed "Project Atlas." Facebook previously faced disgrace and crisis when it was revealed that Onavo, a so-called VPN app that was actually grabbing a huge tranche of data from users; Apple subsequently removed Onavo from its app store. 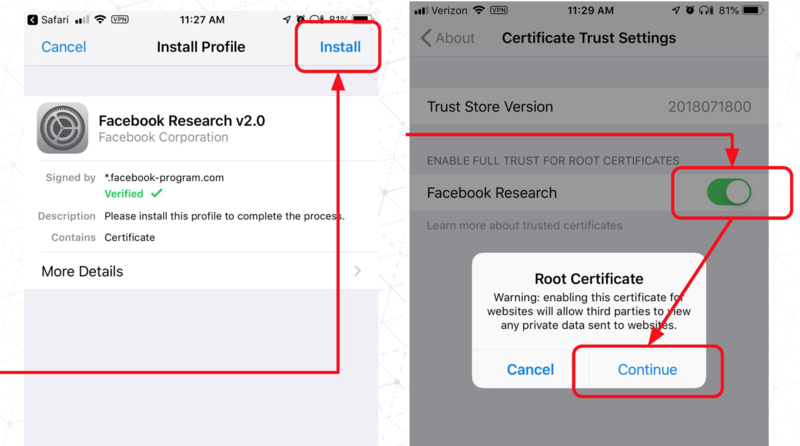 Facebook does not distribute the "Research" app through Apple's own beta-test program, choosing instead to launder it through third parties. Facebook is pretty clearly violating Apple's policies in doing this.